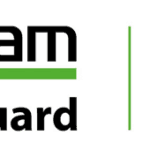 Welcome to everything you need to know about VMware vSphere Update Manager, and everything you need to know to upgrade VMware vSphere! You may also see Update Manager referred to as vSphere Update Manager, ESXi Update Manager, or vCenter Update Manager. Are you still running ESXi 5.5 and need help upgrading? Don’t worry. Here’s what you need to do. 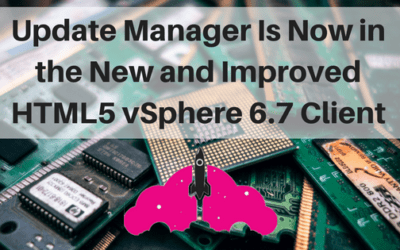 The quickest and easiest way to upgrade is to upgrade from vSphere 5.5 to vSphere 6.5. Check out my VMworld 2017 Session, Upgrading to vSphere 6.5 the VCDX Way This session will explain things like what order to upgrade components in. Make sure all the hardware and software components are listed on the the VMware Compatibility Guide. 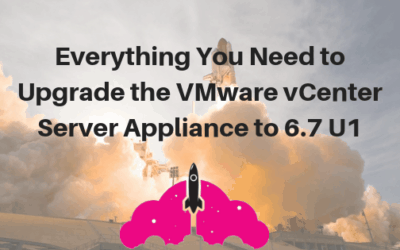 Either upgrade your vCenter to vSphere 6.5 or build a new one. 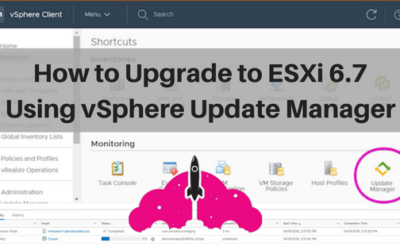 Upgrade ESXi from 5.5 to 6.5 using vSphere Update Manager on the VCSA. Make sure you install your VMware vSphere licenses! 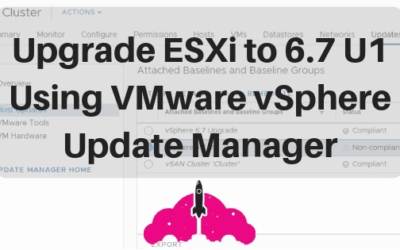 Once you have upgrade to vSphere 6.5, the upgrade to VMware vSphere 6.7 is your next easy upgrade! It is also easy to upgrade to vSphere 6.7 U1. The vSphere 6.7 U1 upgrade series includes how to upgrade vCenter, ESXi hosts, VMware Tools, and Virtual Machine hardware compatibility. 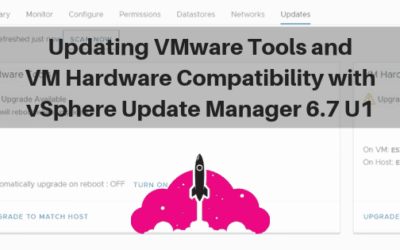 vSphere Update Manager makes it easy to manage and update ESXi, VMware Tools, and virtual hardware versions in your VMware vSphere environment. It is an essential part to any VMware vSphere upgrade. Read on to find everything you need to start panning your vSphere upgrade today! 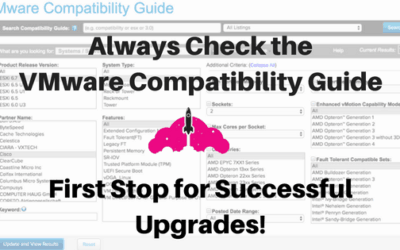 When it comes time to upgrade a VMware Product, your first stop should be the VMware Compatibility Guide (also known as the VMware Compatibility Matrix).